In recent years, a lot of research has been done on the effect of Green-lipped mussel on the joints. This mussel species can only survive in the extremely clean waters of the Marlborough Sounds in New Zealand. The Green-lipped mussel derives its name from the striking green marks on the edge of the shell. According to various studies this unique shell animal has even more health benefits. This is due to the wide variety of nutrients in the Green-lipped Mussel. Globally, the popularity of Green-lipped mussel is growing as a natural pain reliever and anti-inflammatory compound. More and more people choose to stay away from NSAID’s and choose this natural alternative. Unlike pharmaceutical anti-inflammatory inhibitors, there are no known adverse effects of Green-lipped mussel. The strength of the Green-lipped mussel lies in the vast amount and diversity of Omega-3 fatty acids enclosed in this shellfish. In fish oil, only EPA and DHA are present. Green-lipped mussel also includes ALA, SDA, ETE, DTA, DPA and the rare ETA. The analgesic and anti-inflammatory action of Green-lipped mussel is therefore many times more potent than that of fish oil. Free radicals continuously attack the billions of cells of your body. As a result, cells and tissues are damaged and the aging process accelerates. Antioxidants are vitamins, minerals and other nutrients that can make these free radicals harmless and protect against aging. Although the Omega-3 fatty acids in Green-lipped mussel is not known as “super antioxidants,” the Journal of the American College of Nutrition reports that they may be useful. They reduce the amount of free radicals and increase the production of body-like antioxidants. This keeps your cells, tissues and organs healthier and more vital. The EPA and DHA fatty acids in Green-lipped mussel are essential for healthy brains and for the cardiovascular system. DHA is an important component of the brain cells. People with cognitive impairment usually have low levels of DHA in the body. EPA helps reduce blood cholesterol and triglycerides. This way, these fatty acids helps to keep your heart and blood vessels healthy. Green-lipped mussels are also rich in glycosaminoglycan. These are ingredients composed of Glucosamine and Chondroitin-4 and -6 sulfate. These natural building materials support the recovery of damaged cartilage. In addition, if you use a Green-lipped mussel supplement, you do not need to use separate Glucosamine or Chondroitin preparation, as Green-lipped mussel contains these substances. 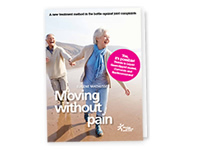 However, it is also important to use a natural anti-inflammatory compound in addition to preparations with only Glucosamine and chondroitin; continuous inflammation will immediately break down new cartilage. Glucosamine and Chondroitin do not inhibit the inflammation. In the Green-lipped mussel, these beneficial properties are combined: the inflammation is inhibited and it supplies the building materials for further maintenance of the cartilage. The recovery that occurs is only observed at the molecular level. Therefore, you should not expect millimeters of cartilage to grow back. This is almost impossible. Green-lipped mussel naturally contains an extensive range of vitamins and minerals. With the most eye-catching nutrients: iron, magnesium and vitamin B12. Iron helps the body to produce red blood cells. A deficiency of this mineral can lead to anemia and fatigue. We can also refer to Magnesium as a relaxation mineral. It creates a relaxed feeling in your muscles, increases resistance to stress and gives more energy. Vitamin B12 increases the absorption of iron into the body and has a nerve boosting effect. Several studies show that Green-lipped mussel can provide relief in asthmatic conditions. For example, in 2014, a total of 20 patients with asthma and exercise induced asthma participated in a study testing this New Zealand mollusk and its effects on this disorder. They received a Green-lipped mussel supplement or a placebo (fake drug) for a period of three weeks. The anti-inflammatory action of the Green-lipped mussel significantly increased lung function. In addition, the asthma symptoms decreased among participants from the Green-lipped mussel group. The characteristic sighing decreased, as well as the issues during the day. Of course, you do not want to miss any of these healthy properties of the New Zealand Green-lipped mussel. This means that you need to carefully select your supplement for maximum benefit. Besides dry powder and extract, Green-lipped mussel is also available in liquid form today. 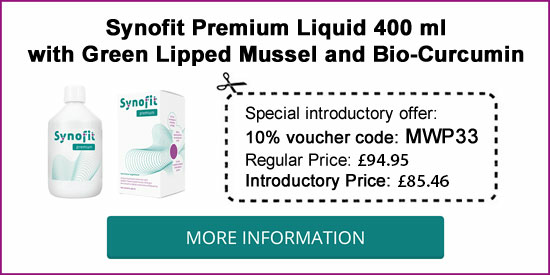 This is the only product in which contains the whole Green-lipped mussel. All components therefore remain in their original state in this liquid product. Moreover, your body is better able to absorb the Omega-3 acidification and other nutrients in liquid form. 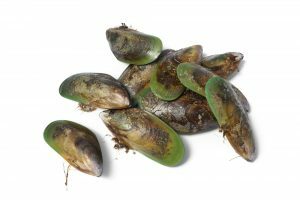 Read more about the different types of Green-lipped mussel available and about experiences with Green-lipped mussel from others.